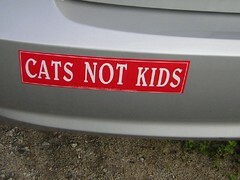 Now that is a great sticker. I get a lot of comments on my cat posts, that’s crap. People just like to be dicks about cat people.